Cintia Lopez is a fellow for The ARTery, WBUR's arts and culture team. As a fellow, Cintia hopes to engage and report on the fine arts scene in Boston, including classical music, theater and various forms for visual art. 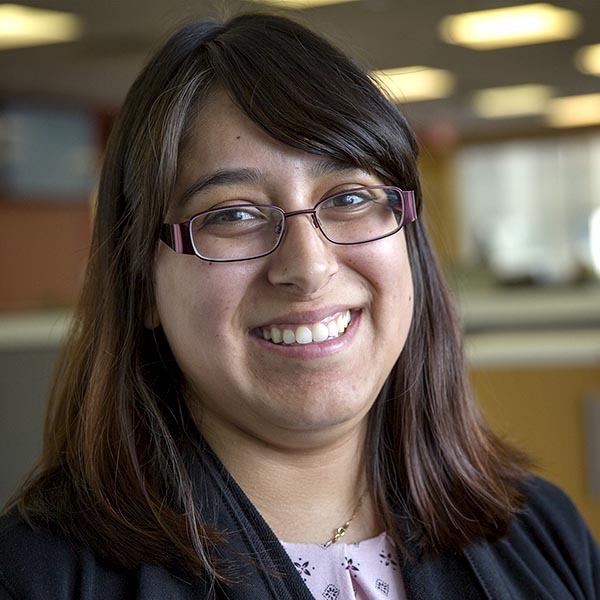 She has previous experience with public radio as a former NPR Next Generation Radio Fellow and as an intern for Sacramento’s NPR affiliate, Capital Public Radio. During her week-long fellowship with Next Generation Radio, Cintia told the story of a “yarn-bomber” from Sacramento, who used her talents as a crochet artist to deliver messages of anti-war and peace by putting her crocheted works around trees and other structures around the capital city. Cintia came to Boston from California where she began her career as a reporter for The Daily Democrat, a local newspaper in Woodland, California. There, Cintia covered government in Yolo County, business, food, crime, courts and events. She graduated from California State University, Sacramento with a bachelor of arts in journalism.